On the occasion of the publication of his memoir ROOM TO DREAM, Book Soup presents a screening of every episode of David Lynch’s animated series DUMBLAND, followed by a conversation with its creator. DUMBLAND—DAVID LYNCH IN CONVERSATION WITH KRISTINE MCKENNA, Thursday, June 21, at 7 pm. Above: Room to Dream, by David Lynch (2018). Below: Dumbland (2002), created by David Lynch. 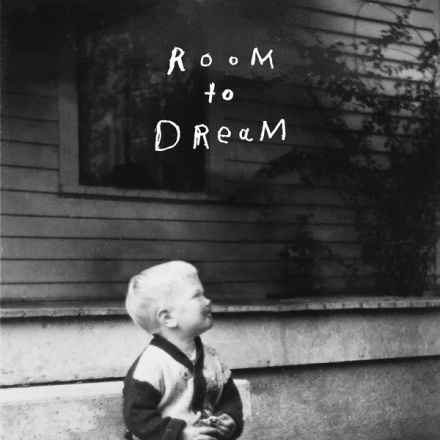 This entry was posted in BOOKS/PERIODICALS, CONVERSATION, FILM and tagged Book Soup, David Lynch, Dumbland (Lynch), Kristine McKenna, Room to Dream (Lynch), The Theatre at Ace Hotel on June 20th, 2018 by Barlo Perry. “[When I turned twelve] it seemed necessary that I stop behaving the way I was behaving, the way I had always behaved. I would have to watch the gestures I made while talking. I’d have to make my voice sound deeper, to devote myself to masculine activities. More soccer, different television programs, different CDs to listen to. Every morning in the bathroom getting ready I would repeat the same phrase to myself over and over again so many times that it lost all meaning, becoming nothing but a series of syllables, of sounds. Then I’d stop and start over again. ‘Today I’m gonna be a tough guy’…. Available at Skylight Books, in Los Feliz, and Book Soup, West Hollywood. Louis is also the director of the philosophy and sociology series Les Mots, published by Presses Universitaires de France, and with Geoffroy de Lagasnerie co-authored the “Manifeste pour une contre-offensive intellectuelle et politique,” recently translated into English by Los Angeles Review of Books. This entry was posted in BOOKS/PERIODICALS, EDUCATION/ACTIVISM and tagged Book Soup, Édouard Louis, En finir avec Eddy Bellegueule (Louis), Farrar Strauss and Giroux, Geoffroy de Lagasnerie, Los Angeles Review of Books, Manifeste pour une contre-offensive intellectuelle et politique (Lagasnerie and Louis), Manifesto for an Intellectual and Political Counteroffensive (Lagasnerie and Louis), Michael Lucey, Presses Universitaires de France, Skylight Books, The End of Eddy (Louis) on June 13th, 2017 by Barlo Perry. David Bowie moved to Berlin in late 1976 and stayed—on and off—for about two years. He recorded 32 songs for the “Berlin triptych”—Low, Heroes, and Lodger—but none of this dovetails too neatly: Low was started at Château d’Hérouville (“Honky Château”), outside Paris, and Lodger was recorded in Montreux. Only Heroes was made at Hansa Studios in Berlin. For the first time since Hunky Dory, he was just “David Bowie,” sans overly-constructed persona or alter ego (unless you count Iggy Pop). During the very years that punk exploded out of lower Manhattan and London and in dives off Hollywood Blvd., Bowie went back to a deeper source—his fascination with the rough imagery of the artists of Die Brücke, as a gateway to Weimar Berlin. Bowie’s new, temporary home was a life-saving move from the death trip of Los Angeles, where the singer was subsisting on little more than cocaine, Gitanes, and glasses of milk. In Berlin, Bowie rediscovered food (and alcohol). And he began a working life with Brian Eno. This is the subject of Tobias Rüther’s HEROES: DAVID BOWIE AND BERLIN, a Reaktion Books translation of Rüther’s Helden (2008), and part of their Reverb series. Sifting through the myths and creating a few of his own, Rüther draws from a rich vein of source material: memoirs by Romy Haag, Christine F., and producer Tony Visconti; Paul Trynka’s Iggy Pop and Paul Stump’s Roxy Music biography Unknown Pleasures; histories by Rory MacLean and Ernst Bloch; and dozens of Bowie bios, which are legion. Following the release of Lodger, Bowie moved to New York City and entered the mainstream. The”Berlin years” are remembered as his last great period of true experimentation, until the final burst of Blackstar just before his death. This British paperback is available locally at Book Soup for $25. BOOK SOUP, 8818 Sunset Blvd., West Hollywood. This entry was posted in BOOKS/PERIODICALS, MUSIC and tagged Book Soup, brian eno, David Bowie, Heroes (Bowie), Heroes: David Bowie and Berlin, Iggy Pop, Lodger (Bowie), Low (Bowie), Reaktion Books, Tobias Rüther on April 15th, 2017 by Barlo Perry.